The public has an opportunity, though not much time, to provide suggestions on a draft of the Local Control Accountability Plan, or LCAP, the primary tool or template that school districts will use in writing a spending plan for the new state funding formula. WestEd, the consultant working for the State Board of Education to develop the accountability plan, posted the eight-page document this week and is inviting comments to be emailed to lcff@wested.org before the next revision is posted Dec. 20. Still to come is the companion piece, the proposed regulations on how districts can spend the additional dollars – the supplemental and concentration grants – that districts will receive for low-income students, students learning English and foster children under the Local Control Funding Formula (LCFF). 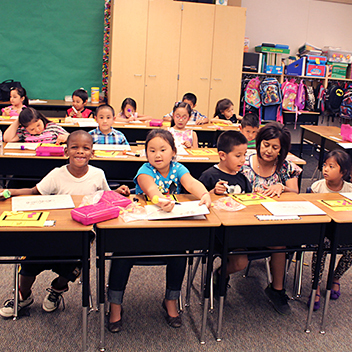 The closely watched, much debated regulations are the key element that will guide districts as they create their first LCAP for the school year starting July 1. The proposed regs and the revised template will be published next Friday in the State Board’s agenda for its Jan. 15-16 meeting. The draft LCAP template lays out the process that each district must follow and the forms it must complete to document its use of LCFF money. The template requires districts to cite student achievement goals, data that a district used to choose those goals, specific actions – with dollars attached – to accomplish them, and metrics to measure progress. If, for example, data show that the high school dropout rate for English learners is high, the district could choose that as a primary goal; specify how it plans to deal with it (hire more guidance counselors or add Partnership Academies offering mentorships, perhaps); detail costs and designate specific schools that will get the resources; and lay out specific measurements of progress. Engagement, including measures of school climate, student engagement and parental involvement. The new funding law requires districts to engage parents, teachers and the wider community as part of creating the LCAP. Parent groups pressed the State Board at its November meeting to require specific actions. Instead, the template requires that districts explain the process of involvement, in response to a half-dozen guiding questions, and to state how that interaction had an impact on the LCAP. One question asks districts to specify what changes were made to the LCAP in response to the feedback and written comments it received. WestEd has been speaking with various advocacy groups and education organizations about the regulations and the LCAP since the November meeting and has incorporated some suggestions and rejected others. Its responses – perhaps a preview of the coming regulations – are in a two-page document that WestEd posted with the template. The initial reaction of some of those with a stake in the template was positive, tempered with criticism on specific points. Clarify for each district how much base, supplemental and concentration dollars it is getting. On the face of it, this seems easy, but it is complicated, because each district is starting at a different funding level, based on what they received in the past. Adonai Mack, a lobbyist with the Association of California School Administrators, said he would like to see other plans that the state also mandates, such as the annual district or LEA Accountability Report Card, incorporated into the LCAP to avoid duplication. And he expressed concern that future officials might interpret guiding questions as requirements instead of suggestions. Mack, Tran and John Affeldt, managing attorney for civil rights organization Public Advocates, all said that the LCAP must be clearer on how performance for individual schools fit into the LCAP. Affeldt and other advocates for low-income students and English learners had called for tracking all LCFF expenditures by site: “Parents care most about what’s being spent in their schools,” he said. But LCFF directs that money be allocated at the district level, with the school board ultimately deciding how it would be spent, and the draft LCAP reflects that. District goals would, by default, apply to every school, unless otherwise specified. If the actions for a specific school site differ from the district’s as a whole, the district should state how. What’s missing without individual-school LCAPs, Affledt said, are opportunities for parents at each school to determine different goals and actions, tied to expenditures, and then to hold each school accountable for meeting its targets, he said. “What’s being proposed doesn’t meet the spirit of the law,” Affeldt said. Comments on the template should be emailed to lcff@wested.org. Is there some type of funding designed to assist individuals who have crossed the United States illegally? Would such type of funding be somehow create a payment plan for the government(s) that supported entering of the United States illegally? The reason I state is due to the fact that nothing is mentioned about supporting children of fallen soldiers who have sacrificed their lives to ensure that the diverse population of the people of the United States continues the freedom to engage in education and all other democratic enterprises. I’m wondering how an LEA is supposed to fill out section 3(C) and (D) if there’s not a net increase in school funding. It’s worth noting that there are two obvious possibilities – (1) is a district in hold harmless and (2) involves loss of federal funds via sequestration. Can you just write “No net increase in funding” and leave it at that? In 3(b) I notice we suddenly have a new subgroup popping into the template – redesignated ELL kids. It’s a good idea to ask what we do for those kids, but there are plenty of other ‘informal’ subgroups like that that are probably worth mentioning. What about gifted kids? And we group all ELL kids together, but in larger districts that will encompass kids from lots of different languages and backgrounds. The template looks … relatively sane … as far as it goes, not too vexing to fill out. It will allow good districts to write up quite a lot and bad districts to pay lip service as they please. I would suggest that such a template should ask that there be at least one goal per school. It is not lost on me that my tiny district will find that more manageable than LAUSD. However, I don’t see how you can consider it local governance, local control, or truly meaningful if there are whole schools that are overlooked by this kind of document. If you don’t know what is needed locally at each of those schools, you know nothing about them. And then probably a list of stipends for extracurriculars/sports. Ideally I’d like to see that per school site. What’s really missing from this LCAP template is – what is offered at each school now? What do we offer even though we don’t think it directly affects test scores? What is our baseline of what we have been doing special for years, like exciting nutritious meals or Algebra Academy or drama that won’t necessarily be boosting performance next year, but are part of what makes this school what it is today? And within some large districts… I think it’s safe to say that answer may be quite different school to school… sometimes for good and sometimes for bad. I love how this stuff is done as schools are closing for winter break. Dec 20th is last day of school for LAUSD. No time for local school sites to discuss, understand or provide input – especially since there are no people qualified to train at the local sites on this hugely complicated thing (3 acts passed, each over 130+ pages involving lots of math). I’m still trying to understand what it means and they want feedback while everyone is closing down for the holidays. Lovely. One thing I would advise is that the first page of the document include the actual Ed Codes for students with disabilites. While ed codes cited for all others, the special education ed codes are not listed. Only giving a mention that schools be “including students with disabilities” in the planning doesn’t provide enough for school sites to go on. Our students with disabilities are identified as Title I and English Language Learners first, then fall into the sub category of needing services under an IEP secondly, but the LCFF does not provide for that other than this vague instruction. Use the codes, let the schools know what must be done (many school site councils have no idea of the IEP process and perhaps LCFF funding can be utilized to assist these kids somehow). If they don’t know the code and can refer to it – they don’t know what is required under law. LCFF states that families are not involved with the creation of a District/governing board plan, only that the district is required to present the plan to families for “input” (that will probably be ignored) or “approval” (for the required compliance paperwork). Only when stakeholders are true participants will this really work. This “comment period” also shows a disingenuous attempt at parent involvement by requesting public input with such a short deadline during a time of year when families are readying for a long break. No one is really paying attention right now so obviously it’s the best time to ask for involvement and claim that outreach was accomplished (more “compliance” in name, only). This article was posted on Friday, December 13th. Today is December 14th, a Saturday. There will be five school days left next week before winter break which will be filled with parties, school assemblies and holiday shows. Where will the trainers find time to school us on this and enable us to make informed comments or decisions? I don’t think it’s going to happen, and I don’t think that was ever the intention. There is no real parent participation with this state – only lip-service. The State Board actually has done extensive outreach on the LCFF and the accountability plan, LCAP, and the new law does require considerable parent involvement. The final draft and, from all indications, the forthcoming regulations will reflect some of the criticisms that Board members heard at the November meeting and in meetings with various interest groups since then. The final LCAP and regs won’t be as prescriptive as many parent groups and advocates want. As a result, the degree of parent involvement and outreach will probably vary a lot from district to district. The fallback is that the the county superintendent must approve each district’s LCAP. I would hope that county superintendents would send back an LCAP that defies the law’s requirement for parental involvement and fails to respond to community recommendations. We’ll see. I too am not happy about the Dec. 20 posting; it’s the start of my vacation, too (or would have been). But the timing is to meet legal posting requirements for the January 15-16 meeting of the State Board. There will be plenty of time after the New Year for parents and others to discuss and prepare their comments for that session. Sonja, a soft-ball (or provocative, take your pick) question: given that Gov. Brown proposed LCFF on the premise that students who are poor, learning English, and are foster youth cost more to educate, why was there no similar admission about special education students? It is a well-known secret that districts spend much more than they get from the state and the feds on providing services to special ed kids. And these services are not even meeting their needs! Is it a question of funding (as you alluded to the attrition of personnel responsible for providing services) or is it a question of willingness to meet the obligations delineated by law and legal settlements? Why is it that there is not yet the political will to have a significant discussion on this? Or do we have to wait for the current discussion to be settled? I must confess to great discomfort when this comes up because of the difficulty to have a reasonable conversation when the inevitable “cost-to-benefit” analysis issue is raised. I realize that this is a no-brainer to the parent of a special-needs child, but there is, I believe, an enormous disconnect when it comes to talking about it with the “standard taxpayer” coming from “central casting.” There are way too many “hot messes” out there. A scintillating point, Manuel. Our district this year projects a Special Ed “encumbrance” (such a wonderful euphemism) of over $3 million. Meanwhile our LCFF supplemental funds will be just under a half million. Puts the whole system in perspective. It’s important that these kids get the education they need and deserve. But their inclusion in the regular finance, along with the encroachment on the regular per student funding, is one of the elements that really confuses and obscures school finance and school budgeting. Absolutely right el. Bringing this up is a budget transparency and logic issue only and in no way is intended to imply any group ‘deserves’ to get less. It just makes it impossible to have a budget discussion grounded in fact. The really interesting thing for me is that now we have two (three) very explicit funding sources from which to encroach: the base grant and the supplementals (three total because there are two of those). Could a district really choose to encroach on the supplementals without backlash? That would be akin to having used EIA money for special ed in the past. I guess in districts where essentially everyone is an unduplicated student that would be easier but it seems so explicitly counter to the intent of the law. Ah, yes, navigio, LAUSD used to call it “encroachment” too. In fact, they applied that moniker to all other programs (police, textbooks, teacher jail, parcel tax campaigns, the TV station, etc.) that reduced the amount of general fund that could be used to fund local school sites. For the last two years, however, the preferred term is “school site resources.” Isn’t that delightfully neutral? To give you an idea, the per capita amount available for schools in 2010-11 was $6,178. But Special Ed would take a $1,008 bite and the other programs would take $1,245 and the per capita would end at $3,613. Of course, this does not include the categorical funds but those were not to be used for school funding but for supplemental programs, and you know how well that works, don’t you? They no longer make it that obvious, but the 2012-13 had special ed costs of $1,439.48 subtracted from each student’s per capita allotment of $7,728 (on an ADA number that was 492,488.63, and a reported enrollment somewhere near the 600,000 mark). I think I’ve seen the 2013-14 numbers but I don’t have them handy right now. So, yeah, so far these costs have been taken from what is now the “base.” I suspect they will continue to do so. And good times will be had by all. Beautiful. That alone should be a requirement. It is disconcerting that in the response document the request to track site-level expenditures was essentially refused. They are also mistaken in assuming that the SPSA already does this in a way that would satisfy LCFF-related transparency (or be budgetarily meaningful in general). That shows a lack of understanding of current ‘accountability’ procedures. Be careful in what you ask for, navigio. I’ll take my chances with an actual site-level budget. It seems like it would have to be better than knowing nothing at all..
What is interesting to me the regulations for the implementation LCFF/LCAP is not even done and the Legislature is already proposing diverting “new” monies away from LCFF implementation. On Thursday, the Assembly’s 2014 Blueprint for Responsible Budget proposes investing in expansion of transitional kindergarten. Any monies spent on new programs will reduce the amount available for local school board decision making that will be accountable for LCAP outcomes.